Dudley Hospital Radio began broadcasting back in 1975. The first show was broadcast from The Guest Hospital on Christmas Day of that year and the service became a charity in 1996. In 2009, 102.5 The Bridge joined forces with the service, with patients able to hear both stations. However, the service ceased to exist as a standalone operation a few years ago. Instead, the members put their skills to good use and set up Black Country Community Radio, broadcasting online but still maintaining the link to Russells Hall Hospital. 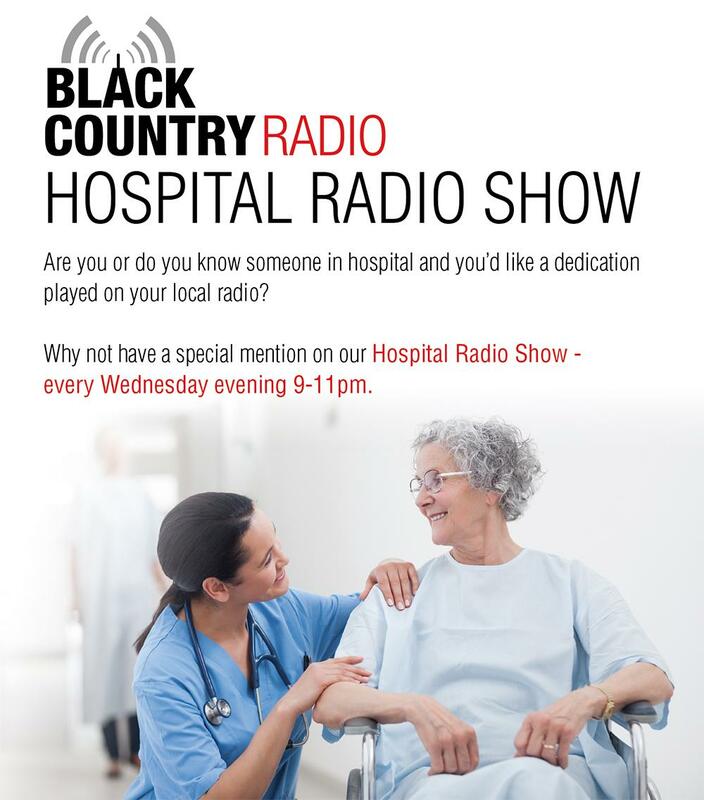 As part of the merger between The Bridge and Black Country Community Radio, that hospital radio service has been adopted and now has a specialist show on Wednesday's from 9pm. It continues to be run by a dedicated team of presenting staff and ward visitors who still visit people within Russells Hall to chat with them and give them some company during the day. This means patients and staff now have access to Black Country Radio, providing a vital community service to those with sickness, infirmity and old age and to those who have to spend time in hospital. If you want to request a track from within the hospital, speak to the ward visitors when they come round the wards. Alternatively, you can contact the show using our normal contact methods.